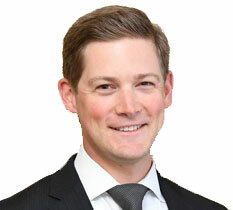 Eric Underwood is an associate attorney with Barrow & Grimm, P.C. His practice is primarily focused on business formation, business transactions, government contracts, and civil litigation involving complex business disputes. Eric enjoys the challenges inherent in guiding businesses through the legal intricacies of today’s commercial marketplace. Prior to attending law school, Eric spent six years as a contracting officer in the United States Air Force, where he planned, solicited, negotiated, awarded, and administered several contracts ranging in scope from base operational requirements to weapon system sustainment. Eric graduated from the University of Colorado in 2008 with a Bachelor of Science in Business Administration. He earned his Juris Doctor with highest honor from The University of Tulsa College of Law in 2017. While in law school, Eric served as an Articles Research Editor for the Tulsa Law Review and authored Tackling Meritless Bid Protests: The Case for Rebalancing Protest Costs in the Federal Procurement Arena, 52 Tulsa L. Rev. 367 (2017). Eric is admitted to practice before all Oklahoma state courts, and is a member of the Oklahoma Bar Association, the Tulsa County Bar Association, and the TCBA Young Lawyers Division.